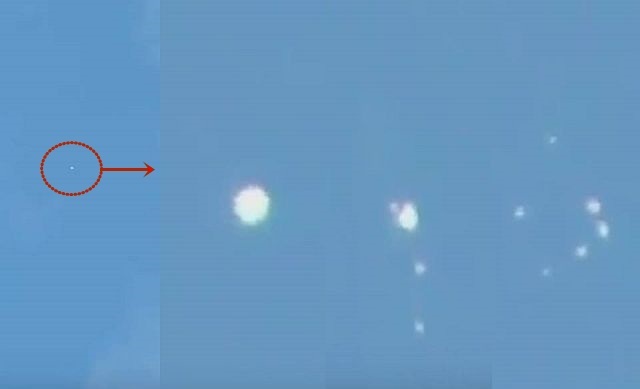 UFO in the sky over Colima, Mexico turns into many Spheres For the fourth time in a row the same bright spherical object appears in the same position in the sky over Colima, Mexico. But this time something strange happened as suddenly the UFO turns into seven spheres. One of them moves downwards, another three fly upwards and the last three seem to make geometric figures, according to AlessaEZ who recorded the spectacular sighting on January 31, 2017. Mother ship and small craft?